Included information is current at the time of coverage. DENSO, a world-famous automotive supplier, has chosen a Toshiba solution for IoT infrastructure that will be adopted at approximately 130 factories worldwide, including Japan. The decisive factor for choosing Toshiba was that they are very familiar with manufacturing sites and factories, which are like living things. DENSO will strengthen its co-creation partnership with Toshiba as it aims to utilize IoT to improve its productivity by 30% compared to 2015 levels by 2020. “Connecting our approximately 130 worldwide factories in a network with the knowledge of our 150,000 employees to improve factory productivity by 30% compared to 2015 levels by 2020.” Global automotive supplier DENSO rocked the industry with the announcement of its “Dantotsu” (outstanding) factories initiative (Figure 1), due to its impressive scope (approximately 130 factories worldwide) and target (a 30% increase in productivity). 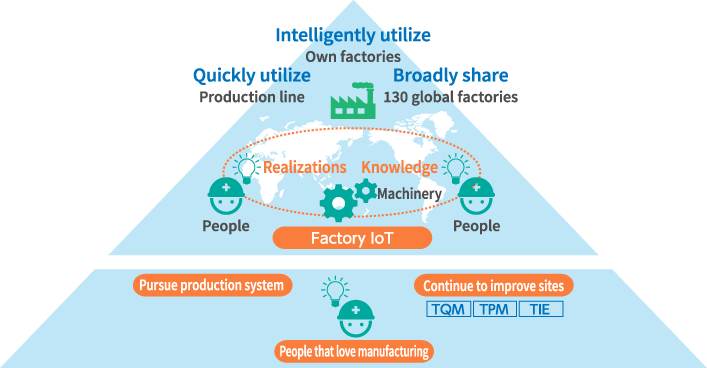 IoT (the Internet of Things) is the key to achieving “Dantotsu” factories. 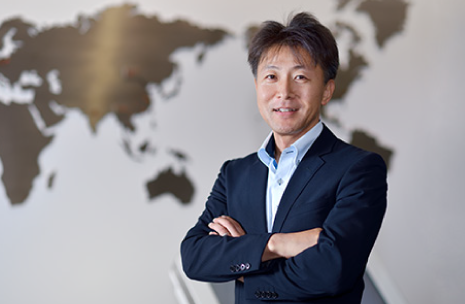 Mitsuru Kato, director of the Production Innovation Center gives the following explanation. “There were two major reasons for adopting IoT. The first was to contribute to the automotive manufacturers that are our customers. DENSO selected Toshiba as its co-creation partner for building the IoT system infrastructure. Toshiba has been positioned not only as a provider of IoT related solutions, but as a partner for working together on the global expansion of “Dantotsu” factories. “Factories are like a living organism where various changes occur on a daily basis. That is why I thought we should request construction of the system infrastructure to a vendor that is familiar with manufacturing sites and also understands that factories are living organisms, rather than simply looking at things from an IT perspective. Upon considering various options, we found that Toshiba accurately understood what we wanted to do, was able to converse using the same language, and also had the solution that we were looking for,” explains Mr. Kato. One reason that led to a decision was the GridDB database (Figure 2) from Toshiba, which is suitable for handling IoT data. GridDB is a NoSQL type database that uses a key container type data model. As the amount of data collected increases with extra targets for sensing with IoT, the database needs to be able to scale out according to the increasing scope of the system. Since the data is fundamentally processed at high speed in memory, the scalability of the database is extremely high. Since the various IoT data (sensors, logs, and history, etc.) that occurs in machines and devices can be accumulated in chronological order, it is also easy to understand changes over time, for example, which is what DENSO requires. The Meister DigitalTwin data connection platform for manufacturing stores all information regarding manufacturing, such as machinery and equipment status, manufacturing conditions, operators, raw material information, and customer information, to GridDB and enables various data models to be structured and easily utilized via integrated data models. Being able to structure and analyze data as integrated data models is a defining feature of the software. The required data stored in Meister DigitalTwin can be extracted via a standard API for visualization and analysis. Meister Visualizer is a visualization solution for connected factories for visualizing manufacturing site monitoring data in detail and in real-time. The screen framework and UI (user interface) parts provided by Meister Visualizer can be utilized to quickly build systems for visualization according to various conditions for the line equipment and factory sites. Toshiba combined such solutions to build IoT infrastructure for DENSO (Figure 2). Existing machinery and equipment were utilized to retrieve approximately 3,000 new items of data, for a total of 12,000 items when combined with existing data, in order to visualize and make improvements on production and quality. When adopting the IoT infrastructure at work sites, Mr. Kato explains that he made sure that it would not be forced upon the employees. In actuality, changes that had not been visible up until now became visible by adopting the IoT infrastructure, and this ignited a spirit of improvement amongst employees and reinvigorated the factory. 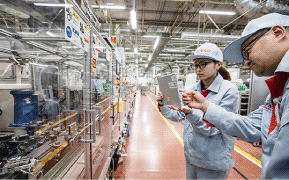 The initiative was well-received by a DENSO executive that observed a Japanese factory which had adopted the IoT infrastructure in advance, stating that the workplace was imbued with a new liveliness and rhythm. 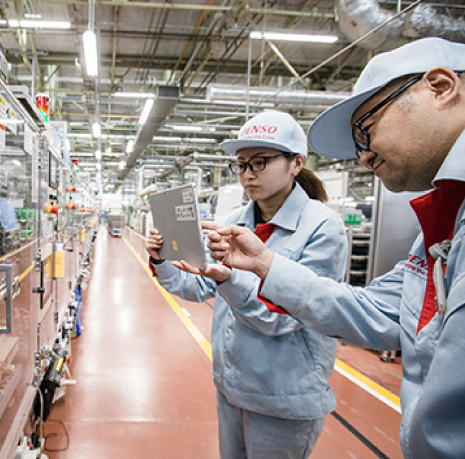 DENSO is proceeding with initiatives to realize its concept of “Dantotsu” factories at a rapid pace, with the goal of improving productivity by 30% by connecting approximately 130 factories over the world. This target is being aimed for via various methods, such as making equipment more high performance and reviewing factory management, in addition to the aforementioned IoT infrastructure. As of summer 2018, I believe we have achieved things at 120% of the expected speed,” says Mr. Kato. 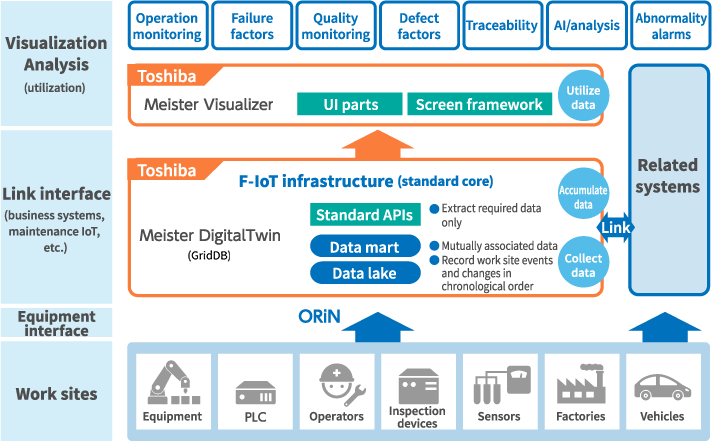 When rolling out the IoT infrastructure to overseas factories in the future, Toshiba has been requested to create user interfaces and adopt IoT together with factory leaders and employees. Mr. Kato also states that he has high expectations for further proposals based on the knowledge and examples that Toshiba has regarding IoT and manufacturing. As a “co-creation partner,” DENSO also plans to give various knowledge to Toshiba as feedback. 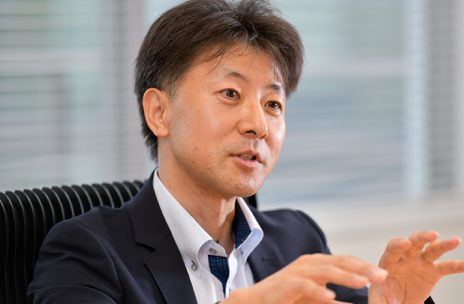 “I hope that we can reflect the expertise that DENSO obtains in the applications and solutions of Toshiba, which can then be utilized at other companies, and thereby contribute to strengthening manufacturing in Japan.” says Mr. Kato. Although not mentioned in this article, Toshiba and DENSO collaborate in various fields other than IoT, such as image recognition technology required for advanced operation assistance and autonomous driving. Toshiba will implement various initiatives via cutting-edge technologies and solutions such as IoT and AI, as DENSO looks ahead to next generation automobiles.